Peter Hobart Elementary School was constructed in 1967, designed by architects Armstrong, Schlicting and Skoald. The school was one of two that were named for students who had died young. Peter Hobart was an outstanding student and president of the student council in 1957-58. In the summer of 1957 he was a delegate to the National conference of student councils in Roswell, New Mexico. He and Council Vice President Vern Strand represented Park High at the 19th Annual Minnesota Association of Student Councils in Thief River Falls in November 1957. Peter was scheduled to speak to the group on the Teen-Age-Code that had been developed and adopted at Park High. Peter took his Bachelor’s degree from Carleton College after graduating from Park High, and was working towards a doctorate at Columbia University in 1963 when he was diagnosed with Hodgkins Disease. When his illness prevented him from pursuing his studies, he returned to his home in St. Louis Park, sometimes visiting Park High. He died on May 27, 1963. Peter was the son of Brookside’s Andrew Hobart. Although Andrew was on the School Board, a committee apart from the School Board had selected Peter for the honor so it was deemed appropriate. The dedication of the school on September 24, 1967 included architect John Terseth, Becky Comstock (representing Park’s student body), Andrew Hobart, Duane E. Billbe (representing the School Board), Erwin Grossman (representing parents), Paul Baarson (the school’s principal), and the Park High string orchestra. Superintendent Harold Enestvedt made the introductions. An article about the naming of Park’s three memorial schools appeared in the December 14, 1977 edition of the St. Louis Park Sun. 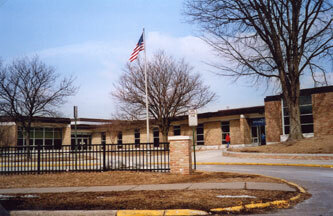 In 1988 additions were built, and in 1993 the Media Center was built. On April 22, 2013, the School Board approved the construction of an addition to Peter Hobart School to add two additional classrooms and build on to the cafeteria. Story in the Sun Sailor. See the school’s web site at http://www.slpschools.org/ph/.